As 2012 eases into its second month, Mobile is still both the hottest and least definable category in the world of consumer technology. Once upon a time a “cell phone” was a button-clad slab of plastic that could send and receive voice calls and ascii text messages and – maybe – handle a round of Snake. Now we argue over how many processing cores and imaging megapixels a mobile phone needs to have, and whether or not anything slower than DSL-grade service is fast enough for a proper cellular data connection. Clearly we need a better word than “phone” to describe these pocket-sized marvels of daily computing magic. And then there are tablets. And USB data modems. And MiFi hotspots. And network-connected, wearable devices like Bluetooth wristwatches and “fitness bracelets.” We’re rapidly approaching an age where everything has gone mobile, if we haven’t arrived there already. So for the sake of our State of the Union addresses, we’re going to talk about cellular phones/hotspots and the networks they work with here, and tablets in another post. Fitbits and Android watches and other network-connected doodads will fall into another category according to their form and function. Otherwise this post would never – ever – end. 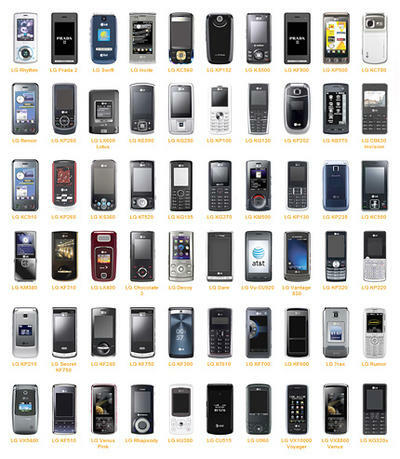 The high end of the mobile phone market is dominated by touchscreen phones in a variety of shapes and sizes. 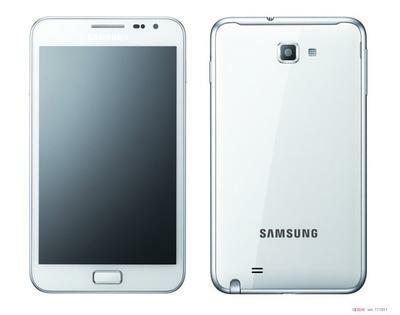 Apparently no phone can be too big (Samsung Galaxy Note: 5.3-inch screen), too thin (Huawei Ascend PS1: 6.68 mm profile ), or have a camera with too many megapixels (HTC Titan 2: 16 MP). But they all feature giant multitouch displays and a relative lack of physical buttons. No matter the platform or carrier, touchscreens rule the day to the point that the latest iteration of the original Droid line, Droid 4, made news for the fact that it continues to offer an actual physical keyboard for those few remaining button mashers among you. Droid 4 isn’t the only smartphone with a hard QWERTY, but it’s one of the few – just ask an iOS user! That said, plenty of folks still use phones with buttons, particularly when it comes to “feature phones.” LG’s enV line of messaging-centric devices were huge with teens contracted to Verizon, though the availability of iPhone on big red has made for more than one, “But Dad, I NEED an iPhone!” defection from the messaging phone camp. Moreover, millions of cell phone users in the US still prefer cheaper, simpler non-smartphones, and most of those still feature physical keypads of the old fashioned 12-button layout sort. 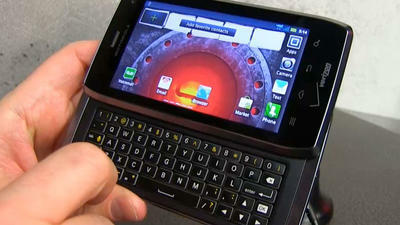 Will 2012 spell the end of physical buttons on smart- and featurephones alike? Probably not. But we might see some innovations in the field of haptic feedback and moving display technologies. You know how your phone vibrates when you “click” a button on your touchscreen? Well, what if parts of the screen actually rose up a millimeter or two to make it feel more like your fingertips were actually pressing physical buttons? Folks are already working on crazy stuff like that. Maybe some of it will make it to market this year. Also look for innovations on the durability front, including the rise of Gorilla Glass 2, and waterproof and scratch-resistant coatings to help phones better deal with the elements and your butterfingers. Nokia’s Lumia 800 and 900 are molded from polycarbonate that retains its color even when scuffed, and Nissan just announced the world’s first “Self-healing” iPhone case, which uses auto paint technology to automagically repair scratches after they happen. And curved glass displays. Or maybe even some more flexible display prototypes. But definitely curves. Curves, in general. Phone designers seem to be into curved bits of hardware lately. Oh yeah, iPhone. Everyone and their Mom is expecting a radically redesigned iPhone this year. Just sayin’. Android and iOS will continue to duke it out for bragging rights atop the Platform Wars charts. While it’ll be interesting to see if OEMs and carriers choose to skin Google’s Android 4.0 phones, and also worth keeping an eye on how Apple handles its first post-Steve Jobs iPhone launch, the odds of something huge happening to knock either company off its mobile OS perch this year are minimal. More exciting will be tracking the progress of BlackBerry OS and Windows Phone. The former is on its last legs while the latter seems to have one very well-funded shot at a comeback. Look for Windows Phone to garner attention early in the year with the release of Nokia’s flagship Lumia 900 on AT&T, along with other top-shelf WP devices on T-Mobile and Verizon, and then to be back in the news later in the year as Windows 8 nears release. A lot depends on Microsoft’s abilities to convince everyone from business partners to consumers and developers that their ecosystem is built to last – and generate revenue. Between Xbox, WinPhone, Win8, and their deal with Nokia, Redmond’s fielded a solid team to back the ecosystem. Question is, will it be enough to claw back to the top this late in the game? 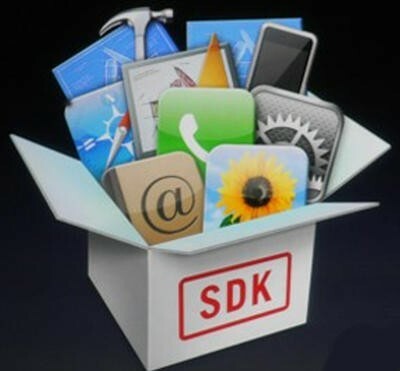 Speaking of the game, I wonder if 2012 is going to be the Year of the Developer when it comes to mobile. The Apples and Samsungs and Nokias of the world will never stop pushing the envelope when it comes to hardware design and spec sheets, but it’ll be interesting to see if we’ve indeed reached a tipping point after which most any new smartphone that hits the market will more or less do the same thing. Vain, fickle fanboys like me will always be susceptible to some physical innovation or another, but now that smartphones have evolved into computing devices, the real action is happening on the software side. Just ask those Angry Birds guys. Whether its some sort of UX/UI breakthrough, the rise of the next Instagram, or a hot new social service, look for hot apps to drive platform adoption this year – perhaps even more than before. Because, really, how many more megapixels do you need on your front-facing camera? It’s what you can do with the thing, not how many cores it’s running, that really matters. The carrier market in the U.S. is ripe for chaos this year. The past few years have seen a sort of split personality, simultaneous race to the top and bottom, amongst the big four national carriers. Sprint and T-Mobile battled to claim the cheapest smartphone plans, while at the same time everyone besides AT&T worked overtime to get what Ma Bell has had for the past several years: Apple’s iPhone. The result? AT&T, Sprint and Verizon now all carry Apple’s small but popular line of phones while T-Mobile came this close to being swallowed whole by AT&T in a corporate takeover bid. Meantime, AT&T’s just deployed 4G LTE network will start giving Verizon a run for its money when it comes to biggest bang for the biggest buck, while Sprint and T-Mo scramble to shore up their own high speed data strategies. T-Mobile’s HSPA+ network isn’t a long term solution, and Sprint has already said they won’t order any more WiMax phones, leaving them to figure out how to finance and deploy an LTE rollout of their own. I’m not sure how it would play out, but I frankly wouldn’t be surprised to see the Big Four consolidate into the Big Three before 2012’s over. Though the Feds have already shown they’re not so keen on the idea. Meantime, prepaid cell service is hot, even though the carriers would much prefer you to sign a postpaid contract instead. The big players are all pushing cut-rate prepaid service, but it’s the little(r) guys who are really heating up the space. MetroPCS went LTE last year, Boost and Virgin came up with inventive new rate plans aimed at offering you more – well, the same, anyway – for less, and new players like Republic Wireless and Walmart’s Straight Talk are worth a look, as well. Look for carriers big and small to look for new ways to wring the most out of their prepaid offerings, including deals on family plans, bring your own phone plans, and plans offering lower monthly bills in exchange for putting up with capped/throttled data. Then there’s unlimited data. It’s almost, but not quite, dead as far as the big four carriers are concerned – unless you’re grandfathered in like yours truly. Crafty marketing speak and speed throttling allow the carriers to advertise “Unlimited Web” still, but heavy users are already complaining about the changes. What good is blazing fast LTE if after the first week of each month I’m throttled back to 3G, they cry. Keep an eye on the fine print this year, as the lines between mobile internet and plain ol’ internet continue to blur in ways big and small. 2012 should be a big year for mobile, as the category is hot and shows no signs of cooling off just yet. However, ’12 may turn out to be more about the industry settling itself out than about any paradigm-shifting new technologies or platforms being born. Just as this article was being written, RIM announced the installment of a new CEO. Will executive shuffle do them any good? Can they, Nokia and Sony regain the influence they once held over the mobile world? Or has the torch been passed for good (or for now) to the likes of Apple, HTC and Samsung? 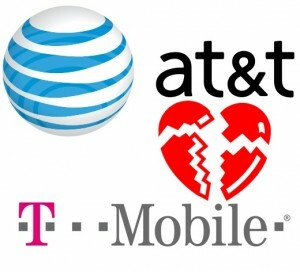 And what will happen to Sprint and T-Mobile in 2012; do they still have a shot at preventing a true duopoly amongst major U.S. service providers? 2012 is going to be an interesting year in mobile, one way or another? Stay tuned!